You’re one step closer to achieving the smile you’ve always wanted! 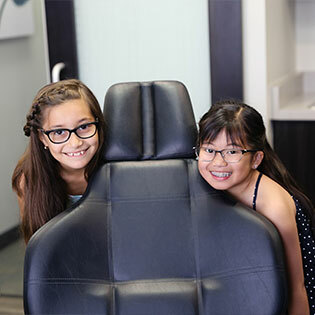 After your consultation, we will schedule appointments for your orthodontic records (X-rays, photos, and a 3D scan) and to place appliances or braces. Each patient is given the opportunity to do records at the initial consultation appointment; therefore, for many patients the next appointment is to get started! We understand that “life happens”! If you’re running late or need to reschedule, please let us know and we will do everything we can to accommodate you. When you’re ready to schedule your first appointment, contact our practice and our friendly front office team will assist you. We’re looking forward to working with you. It is vital that you continue to visit your family dentist once every six months, even during your orthodontic treatment, for teeth cleanings and routine dental checkups. If extra dental care is needed, we will be happy to coordinate with your family dentist to make sure you receive the best possible care.